Finding Species in a partnership with the Fondo para la protección del Agua (FONAG) and the Quito government office of natural heritage created the metropolitan conservation area in the rural areas of Quito near the boundaries of the Cayambe Coca National Park. This region comprises a complex network of social conflicts, like water consumption, productive activities and the more recent settlement of the Quito’s new airport. Finding Species conducted workshops with the local population, interviews with stakeholders and field research to understand social conflicts and conservation status of the area. 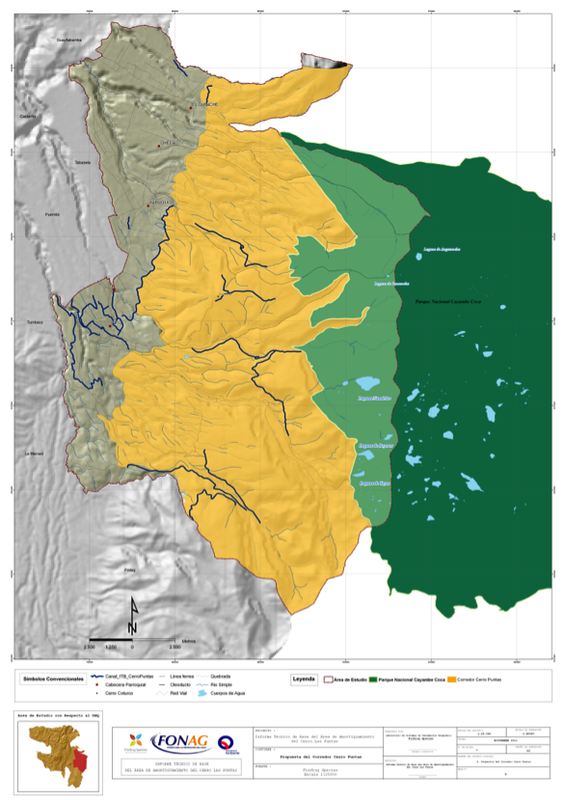 The project overlapped social needs and productive conflicts with the natural habitat map to create the boundaries for the new protected area within the buffer zone of the Cayambe Coca National Park. The proposal facilitated the necessity of protecting some 28,000 hectares to assure water supply and healthy environment for the future of 80,000 people.